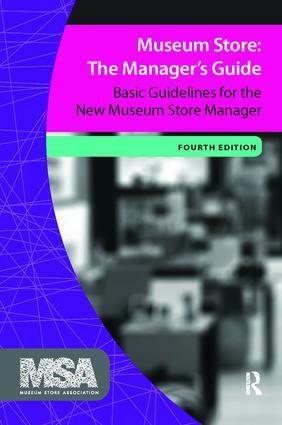 Museum Store: The Manager's Guide is a practical guide for any store manager who needs guidance about visual merchandising, measuring performance, managing volunteers and much more. This eight-chapter volume includes a wealth of advice on best practices compiled by the national professional organization of museum stores. It includes a myriad of supportive worksheets to help the novice manager. It provides guidance from experienced store managers to assist the novice in evaluating a store�s performance. The 4th edition includes updated information on social media and mobile shopping. A new chapter to this valuable resource highlights the legal implications of the business of nonprofit retail including copyright, unrelated business income tax, and staff relations. A great resource for every back office!